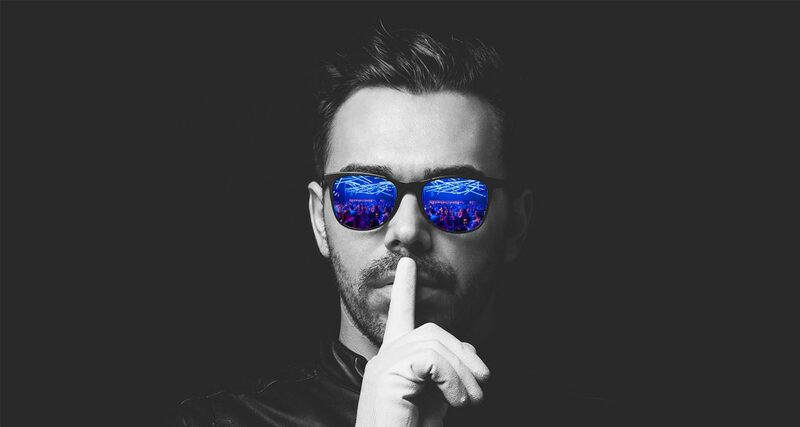 Shhh... here are a couple of secrets to getting your dancefloor popping on the sly. 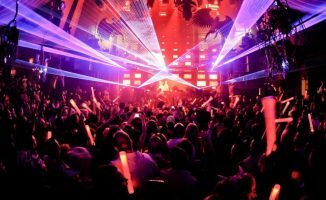 Lights and sound have a psychological effect on your dancefloor – for instance, turn on the “cleaners’ lights” and kill the music, and people will think the party’s over. Apart from the music you play, controlling the way your DJ lights and volume ebb and flow throughout the night can help control your crowd’s mood and energy. 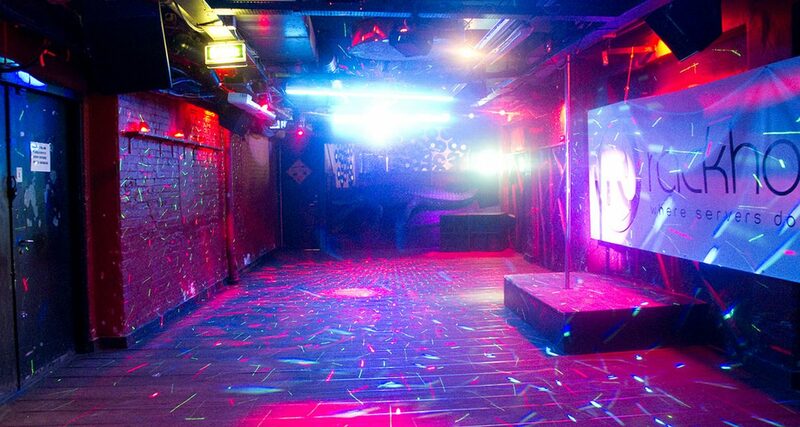 Increasing the overall volume and adding trippy lighting makes the dancefloor more welcoming, and creates a “party” atmosphere to encourage folk to get down and dirty. During your set, try pulling back on the volume slightly during a break and dimming the lights, and then slowly increase both volume and lighting (ie strobes) during the build-up for some “hands in the air” action from your crowd. You can do this over and over again throughout the course of your performance. Don’t cloister yourself behind the decks all evening – one of the best ways to loosen the atmosphere and create a welcoming vibe is to go around the room and chat with people. Doing this gets everyone “on the same side”. You don’t need to have deep conversations about the meaning of life (save that for after the show if you like), so just keep things light and convivial. Don’t spend more than five minutes with just one group of people – do your best to make the rounds and say hello to as many guests as you can. Just introducing yourself and explaining what is in store for the evening can be the difference between them mentally deciding “I’m gonna have a good dance tonight!” and remaining unsure. A good way to start any gig when you’re not sure of the music people want is the “scatter chart” approach: This is where you play a bit of everything early on to see who taps their feet and gives you a nod. You can increase the effectiveness of this approach by actually going around the room before you start DJing and asking for “any early requests” – it’ll give you a sense of what people like, and will also warm up the people who requested those songs. More often than not, girls are more likely to be first on the dancefloor than boys, and sneaky DJs sometimes take along friends who they “bribe” with a few drinks (or a lift home at the end of the night) to get the party started. Of course, this isn’t always appropriate – the bride and groom won’t appreciate you pulling a small crowd of your friends at their wedding reception, for instance. If you can get the bride and groom (or the birthday girl / boy, couple celebrating their anniversary, bar / bat mitzvah celebrant) on the dancefloor, the rest will follow naturally. If there’s anything you take away from this piece, it’s this: at any event where the organiser is the centre of attention, getting them dancing should be a top priority – not only does this make it easier / more inviting for other guests to join in, but it also keeps your clients happy. Asking them what time the dancing should start, and whether they and their friends will be leading the pack is a great strategy to guide things toward a full floor at peak time. Here’s a fun party trick that we’re seeing more of: most events and weddings have an official Twitter hashtag (eg #BenandJerryTieTheKnot), so use that to push out DJ set updates and genre changes (eg “Big new Rihanna tune at 11!”, “Last chance for disco”). Use the hashtag as an opportunity to encourage guests to ask for requests and to give feedback on your performance. This is especially effective for functions that have screens / projectors where the event hashtag is displayed prominently throughout the event. Instagram hashtags are also useful – when the gig’s over, you can use the hashtag to search for pictures that you can use for your press kit or portfolio. Just remember to ask for permission when grabbing photos from other folks. Alternately, you can also have guests tag you in their photos, which show up in the “Tagged” tab on your Instagram profile. Here’s a sneaky trick right out of the wedding DJ’s playbook, and one that can work a treat: ask the photographer to take group photos of guests on your dancefloor, and then play a massive track soon as they’re done. This is almost guaranteed to have a big response, especially if your crowd’s had a few drinks already. Try having the photographer take a pic during the breakdown or buildup of a tune, making sure that she/he finishes taking the pictures and gets out of the way in time for the drop! 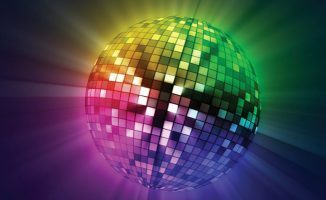 Don’t be daunted by an empty dancefloor, especially if it’s early in the evening – rather, see it as a challenge that is possible to overcome at every gig. Remember that one of the biggest virtues in getting the dancefloor rocking is patience. People won’t dance until they’re ready: Doing the job right will mean they’ll do so at that point, but nothing you can do will make them dance before that. The tips above are all about speeding up the journey from start of play to dancefloor mayhem – something good DJs know takes time. Good luck! 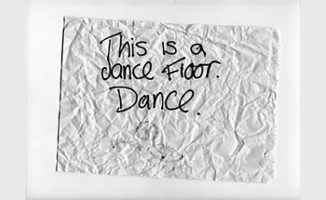 What’s your favourite trick to get people on the floor? Any party-starting tips you’d like to share with our readers? Let us know below. 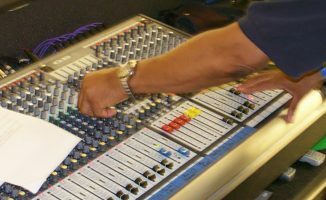 Your Questions: Should I Buy My Own Lights & PA System? Nice tips! Can also use video and karaoke to help get the party involved. Virtual DJ has all these features and I try to incorporate everything. Yes! I love throwing in a Karaoke mini-set in my gigs (when applicable, of course). VDJ makes this easy, but I also do it with Rekordbox by dropping an instrumental track and plugging a mic in. Instant singalong! At a birthday get the cake and happy birthday done with everybody on the dance floor, then play a real crowd pleaser or special request from the birthday girl/boy directly after to get the dancing started. Also depending on the age range it can be worth playing a set aimed at the parents/ grand parents earlier to get them dancing.